The Steele Canyon Players Annual Musical – Les Misérables. 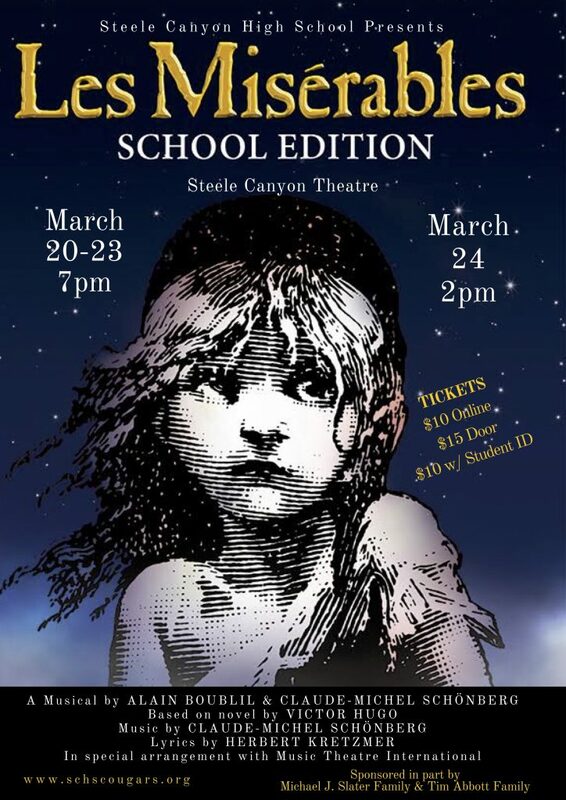 Steele Canyon High School presents the world’s longest running musical, Les Misérables. This modern classic, based on Victor Hugo’s novel, features one of the most memorable scores of all time. The production includes over 130 students in the cast, crew and orchestra. 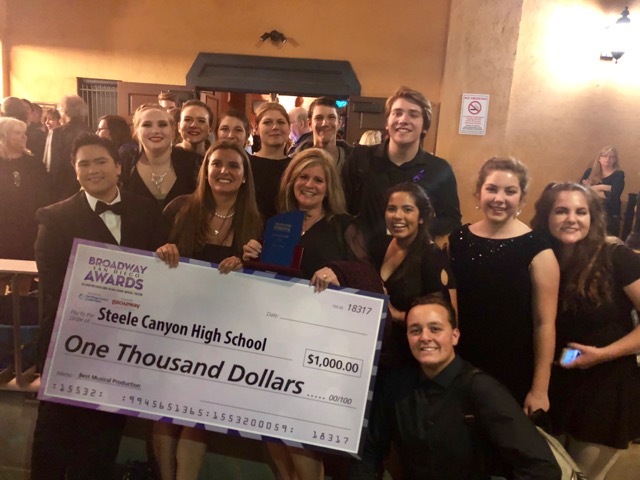 According to Theatre Director, Nicole LaBella and Music Director, Heather Luck, Steele Canyon High School musicals are unique as they are the only school in the area to perform with live orchestral accompaniment. Show dates are March 20, 21, 22, & 23 at 7 PM and March 24 at 2 PM. 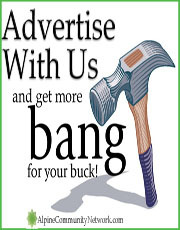 All performances are in the Steele Canyon High School Theatre, 12440 Campo Road, Spring Valley, CA 91978. Tickets can be reserved and purchased online www.schscougars.org for $10 each, or at the box office on the day of performance for $15 each. Students with I.D., $10 at the door. In 19th century France, Jean Valjean (Jackson Shaffer), released from years of unjust imprisonment, finds only mistrust and mistreatment. He breaks his parole in hopes of starting a new life, initiating a lifelong struggle for redemption. He is relentlessly pursued by police inspector Javert (Sean Huitt), who does not believe Valjean can be reformed. Valjean aids a struggling working-class woman, Fantine (Rosie Barrack), by becoming a guardian to her child, who is poorly treated by her paid caregivers, the Thénardier’s (Tyler Hicks & Claire Doucet). The play progresses to the Paris student uprising of 1832, led by Enjolras (Ryan Singer), where a young Eponine (Mary Rose Vadeboncoeur) sacrifices everything for the love of a student revolutionary, Marius (Brice Cloke). Javert must confront his ideals after Valjean spares his life and saves Marius, who has captured the heart of Valjean’s adopted daughter, Cosette (Morgan Feeney Ingraham). Poignant, epic and uplifting, Les Misérables illustrates the triumph of the human spirit. “Do You Hear The People Sing?” This production is made possible with the generous support of the Tim Abbott Family & the Michael J. Slater Family. 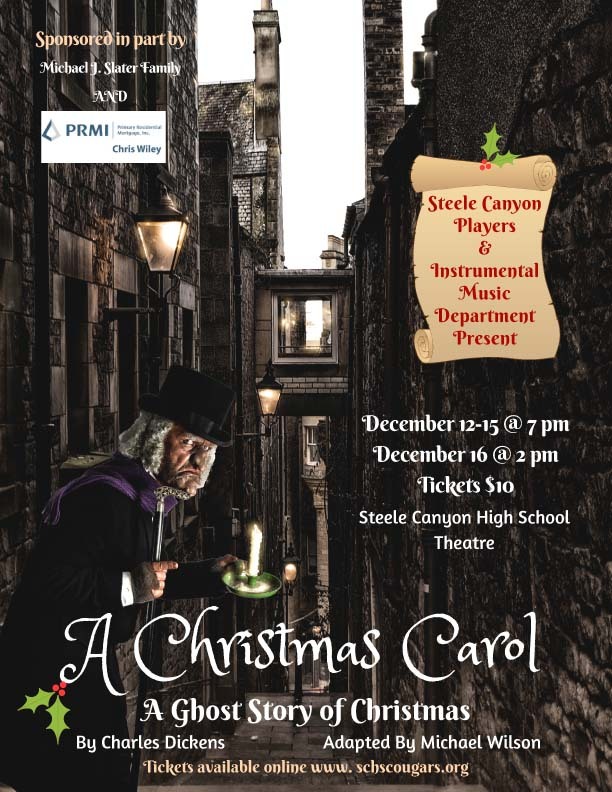 About the Steele Canyon Players & Instrumental Music Department – Under Theatre Director, Nicole LaBella and Musical Director, Heather Luck, students in the Steele Canyon High School drama and music departments produce an annual Fall Semester play and an annual Spring Semester Musical. The Spring Production of The Sound of Music was named the Best High School Musical at the 2018 Broadway San Diego Awards after the first year of entering the competition that celebrates excellence in San Diego County’s high school musical theatre. 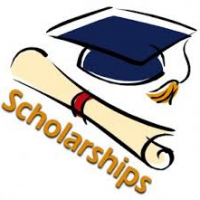 February 2019 – The Alpine Woman’s Club Scholarship, Preservation and Education Foundation is now accepting scholarship applications from graduating high school seniors who reside in Alpine. 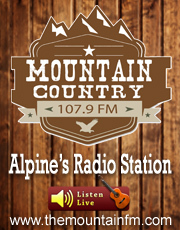 Scholarships will be awarded in June at the Alpine Woman’s Club luncheon meeting on June 18th. In order to be considered for a scholarship, applications must be received no later than May 31. 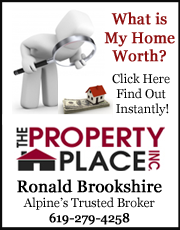 Students applying for a scholarship must: Reside in Alpine; have a well-developed sense of community participation and/or have been diligently applying themselves in the employment area; show scholastic and extra curricular achievement; submit a 500 word autobiographical essay, and plan to attend a college, university or vocational school. Who am I? 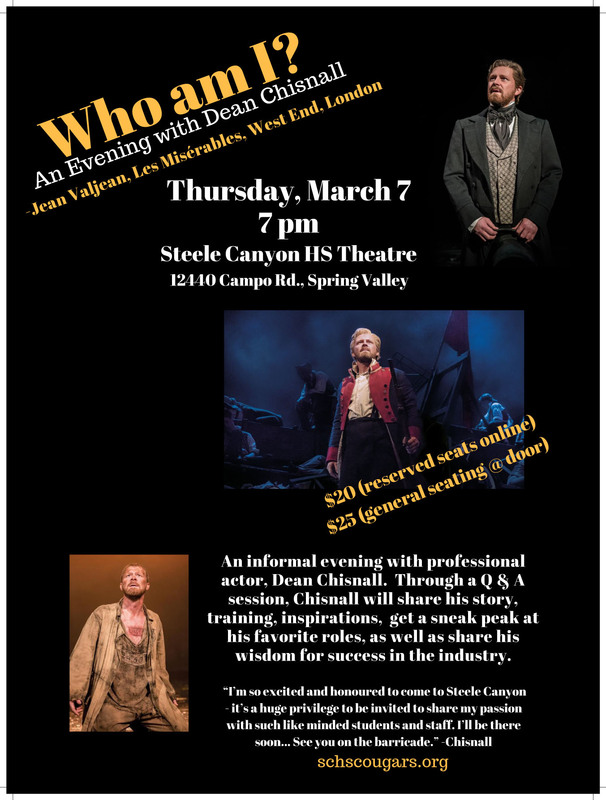 – An Evening with Actor Dean Chisnall ( Jean Valjean, Les Misérables, West End, London) at Steele Canyon High School Theater on Thursday, March 7, 2019 at 7 pm. $20 reserved seats online & $25 general seating @ door. An informal evening with professional actor, Dean Chisnall. Through a Q & A session, Chisnall will share his story, training, inspirations, get a sneak peak at his favorite roles, as well as share his wisdom for success in the industry. Steele Canyon music director, Heather Luck, befriended Dean Chisnall while on a trip to London last December. Luck invited him to America to meet the students of the Steele Canyon Players so that he might offer them advice and tutelage as they get ready for their upcoming production of Les Misérables. Chisnall accepted the invitation. Along with Steele Canyon theater director, Nicole LaBella, Luck and Chisnall will team-up to instruct and inspire the young actors to capture the essence of some of most beloved characters ever created for musical theater. The Steele Canyon Players are rising stars in the local high school theater scene. Under Theatre Director, Nicole LaBella and Musical Director, Heather Luck, students in the Steele Canyon High School drama and music departments produce an annual Fall Semester play and an annual Spring Semester Musical. The Spring Production of The Sound of Music was named the Best High School Musical at the 2018 Broadway San Diego Awards after the first year of entering the competition that celebrates excellence in high school musical theatre. 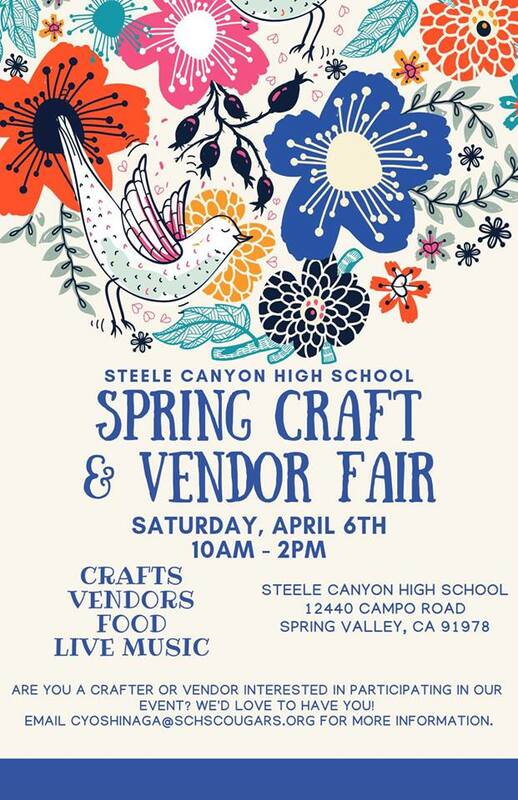 Drift + Habit: Succulents, macramé, stain glass, & ornament wreaths , Snapart Fusion, Fresh Baked Designs: Artisan Jewelry, Acrylic Fluid & Jewelry, Caricature artist, Shine Universe Apparel & Décor, Sweet Peas Baby Designs, Usborne Books & More, Nazz Party Supplies, Danny’s ice cream truck, Kettle corn, Steele Canyon HS Class Councils: food. This is a HUGE honor! Steele Canyon High School Production Wins BEST MUSICAL at 2018 Broadway San Diego Awards! 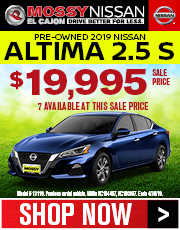 There are several Alpine kids who are cast members as well as Theatre Director, Nicole LaBella, who is an Alpine resident and former JMMS teacher. Steele Canyon High School Drama Department and Instrumental Music Department’s production of Rodger’s & Hammerstein’s The Sound of Music was named the Best High School Musical at the 2018 Broadway San Diego Awards. At the May 27, 2018awards show, the Steele Canyon Players competed with two other finalists, Mission Hills High School’s American Idiot and Cathedral Catholic High School’s 42nd Street. The cast performed in a competitive Tony Awards® style adjudication process to be awarded the Best High School Musical and won $1,000 for their Steele Canyon theatre department. The Broadway San Diego Awards Program Manager, Rick Hernandez states, “We had 22 schools with 28 shows in the competition this year. This is the largest participation that we have ever had. 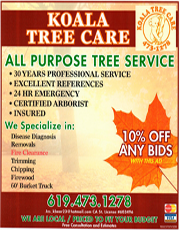 The competition was fierce!”. Additionally, three Steele Canyon Players received best actor nominations for their roles in The Sound of Music: Leanna Neely for her portrayal of the Mother Abbess, Jackson Shaffer for his portrayal of Captain Von Trapp and Mary Rose Vadeboncoeur as Maria. Brice Cloke, Claire Doucet, Sean Huitt, Tori Joynson and Sydney Villa represented Steele Canyon Players as selected members of the All Star Chorus that performed at the awards show. The Steele Canyon Players wish to thank their sponsors The Michael J. Slater Family and Home Depot for helping to make this production possible. The Broadway San Diego Awards program is now entering its fifth year and the competition is sponsored by the San Diego County Credit Union. The Mission of Broadway San Diego Awards is to utilize a competitive Tony Awards® style adjudication process, to find the very best of high school musical theater talent in San Diego County; and in collaboration with the Jimmy Awards®, also known as the National High School Musical Theater Awards® (NHSMTA), to present these talented young performers with a unique scholarship opportunity to advance their educations and careers in the genre of musical theater. 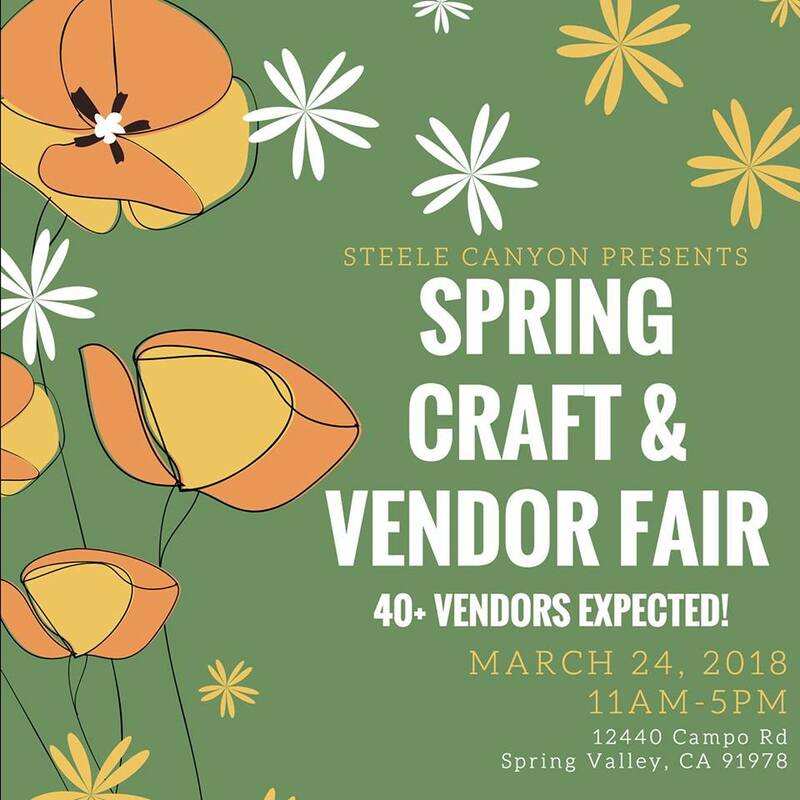 Steele Canyon High School (SCHS) Presents Craft & Vendor Fair – Saturday, March 24, 2018 from 11am to 5pm. 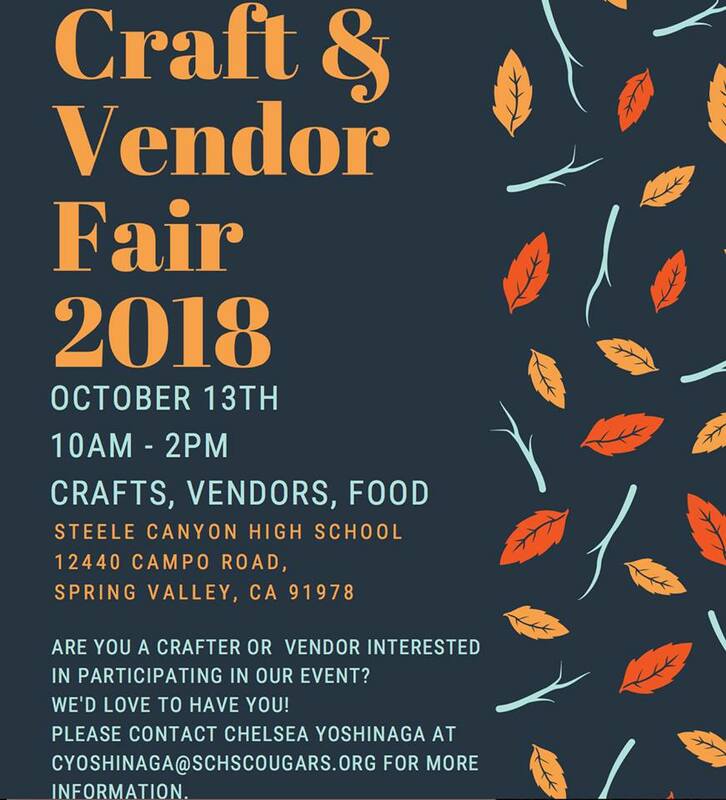 40 vendors expected! 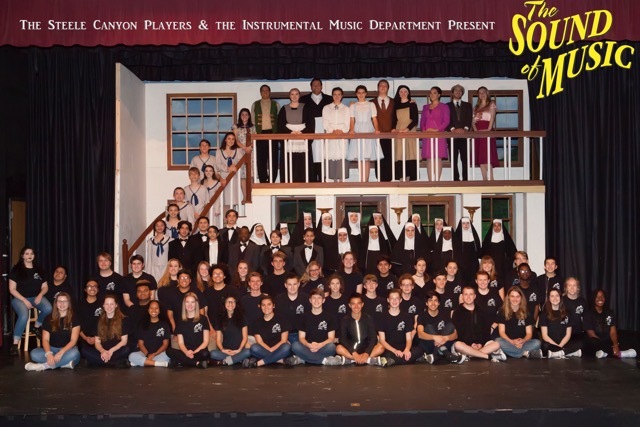 The Steele Canyon High School Drama Department and Instrumental Music Department present their annual Spring Musical production, Rodgers & Hammerstein’s beloved classic, “The Sound of Music”. The production includes nearly 100 students in the cast, crew and orchestra. According to Drama Director, Nicole LaBella and Music Director, Heather Luck, Steele Canyon High School musicals are unique as they are the only school in the area to perform with live musical accompaniment. 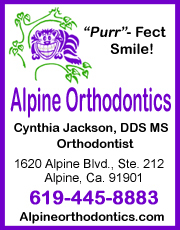 Several students from Alpine have roles. Show dates are March 14, 15, 16, 17 at 7 PM with a special “Sing-A-Long” performance including tea & treats on March 18th at 2 PM. 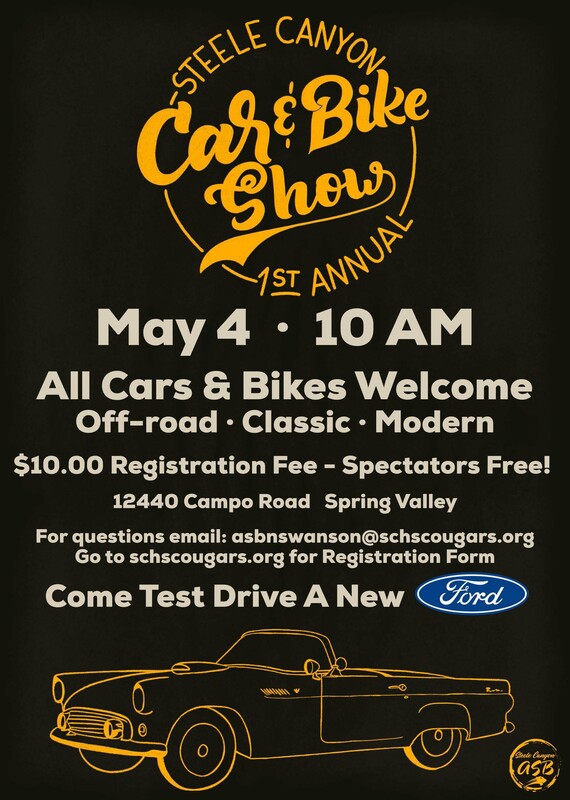 All performances are in the Steele Canyon High School Theater, located at 12440 Campo Road, Spring Valley, CA 91978. 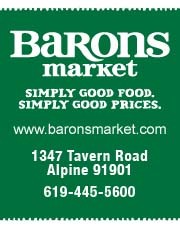 Tickets are $10 each and the “Sing-A-Long” with tea & treats is $15 per person. 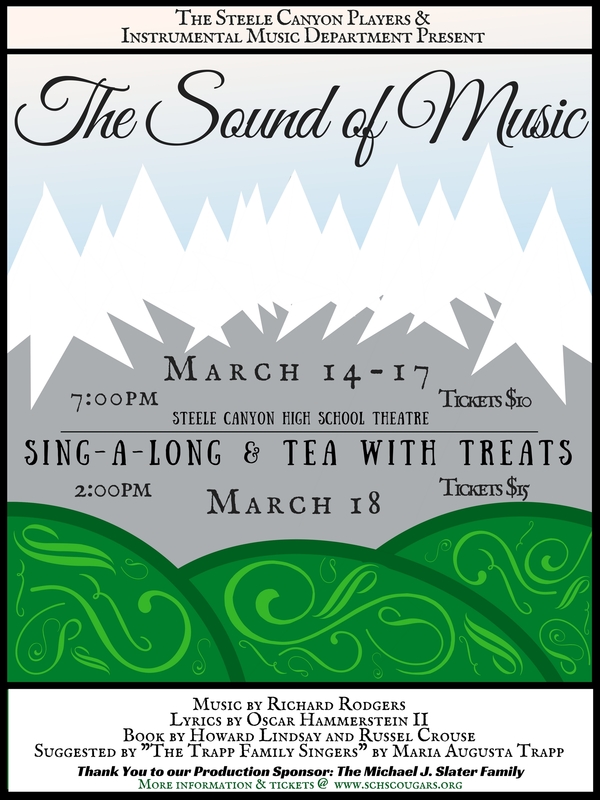 Tickets for all performances may be purchased online by visiting www.showtix4u.com and searching Steele Canyon High School, The Sound of Music, or by purchasing at the SCHS Theatre Box Office on the evening of the performances. Set in pre-World War II Austria, a postulant (Mary Rose Vadeboncouer/Morgan Ingraham) proves too high-spirited for life at the abbey and is dispatched by Mother Abbess (Leanna Neely) to serve as governess for the seven children of a widowed naval captain (Jackson Shaffer). Her growing rapport with the youngsters, coupled with her generosity of spirit captures the heart of the stern captain, and they marry. Upon returning from their honeymoon, they discover that Austria has been invaded by the Nazis, who demand the Captain’s immediate service in their navy. The family’s narrow escape over the mountains to Switzerland on the eve of World War II provides one of the most thrilling and inspirational finales ever presented in the theatre. “Climb Every Mountain…till you find your dream”.